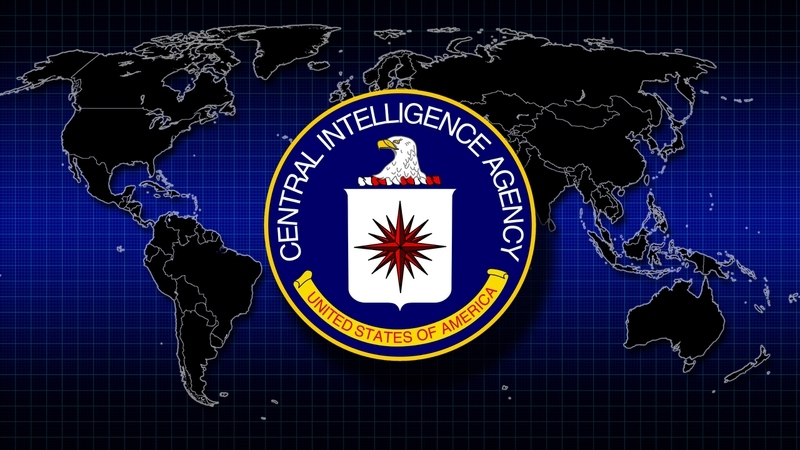 Central Intelligence Agency or CIA is the leading intelligence-gathering agency of federal government of United States. The headquarters of CIA is found in Langley, Virginia and its employees work from US embassies and other areas in the world. Since it is the only independent US intelligence agency, it reports directly to Director of National Intelligence. However, over the years, CIA secrets had been going around. The list below of CIA operations had gotten the attention of every news agency and the imagination of many. Operation PBSuccess, one of the most famous CIA operations in the history, was a code name for the CIA secret plan against the government of Jacobo Arbenz, President of Guatemala. Arbenz was elected by the people in 1950. His government had given lands to the Guatemalan people, which the US government did not like. For the US government, the lands were owned by United Fruit Company, which had strong ties to the CIA director back then. President Kennedy had got mad on CIA after the failed Bay of Pigs invasion. To deal with Cuba, he turned to his brother Robert, who with the help of CIA had launched the Operation Mongoose. Robert Kennedy had told the team that all money, effort and manpower would be used to eliminate Castro. Some crazy, silly methods of the assassination were to poison his fountain pen or put a bomb in one of his cigars. Another method was to kill him with a booby-trapped seashell, which can trigger an explosion. But none of these schemes succeed. Such a waste of time and money! I guess Operation Mongoose might be recorded as a big joke amongst all the secrets and operations that CIA has ever done. President Lyndon B. Johnson had given authorization to CIA to begin a program of spying on US citizens. Their program had infiltrated student organizations to get any intelligence on foreign influences. Groups that were targeted were the Black Panthers and Students for a Democratic Society. The intelligence gathering did not stop on those groups, some Jewish groups and women’s liberation were also included. In 2011 the CIA had received scrutiny for repeating the operation to a group of Muslim. Program Phoenix is another CIA secret few people aware back in days. This program was led by CIA with the aid of US Special Forces, South Vietnamese and Australian commandos. The program was done characterized as a sterile depersonalized murder program during Vietnam War. The purpose of the program is assassination, but the targets are not military but civilian. The program was run from 1965 to 1972 and several civilians were victims of torture, kidnapping and murder. In 1971, the program became the subject of congressional hearings. The program was soon terminated after it had received negative publicity. If you think CIA launches operations only for politic purpose, you are just making a big mistake; but perhaps this is why people keep being shocked when they heard this one of the top CIA secrets in 1970's. Project MK-Ultra is an illegal scientific research made on humans. The project had used humans as experiment objects to test drugs like barbiturates, LSD, hypnosis, biological and radiological agents. Historians believe that the main goal of the program is to control human mind so that the CIA can program people to perform assassinations. The CIA director Richard Helms in 1973 had ordered all documents from the research destroyed. This CIA operation is a project that had targeted the journalists. Through the mockingbird, journalists were hired to gather intelligence reports and to provide civilians a favorable report about the government. In the congressional meeting in 1976, the committee report had revealed in the hearing that CIA had been bribing journalists for several years already to convince the public that communism is scary. In 1978, Afghanistan had a civil war in which two Communist groups had the power over the country. When the anti-communist rebels seemed to gain, the Soviet Union had invaded the country to provide support. The United States decided to join the fray, too. The CIA had provided training and weapons to the rebels called Mujahideen. The Soviets had an airstrike to Afghanistan and had use anti-aircraft missiles but it put great strain on the Soviets because of the declining resources of arms. After the Soviet Union collapsed, the CIA had found that the training and tactics for the Mujahideen had backfired because the Mujahideen veterans who received the training had made up the core of Al-Qaeda today, which makes it the most ironic CIA secret ever. The military operation that killed Osama Bin Laden was the result of serious and meticulous intelligence gathering. During the tactical operation, CIA wanted to be certain that Bin Laden was in the area. To confirm, CIA had used Pakistani doctor to have a fake vaccination drive and they also ordered blood samples to be collected from the children living in the area. Some children in the area had revealed the identification as Bin Laden’s children. Even though, this still could be the one of dirtiest CIA secrets ever, since it's involved the innocent children. They should be ashamed. February 2011 was the time that the Revolution in Libya had begun. Muammar el-Qaddafi was ousted in August. Later he was captured and killed in October. In 2012, the American diplomatic mission was attacked by an unknown group. Because of the attacked, the CIA had admitted their presence in Libya since Libyan Revolution in 2011. Here to complete my list of all the crazy CIA secrets and operations is a popular site that had gotten the attention of the many, including conspiracy theorists and UFO believers. It is Area 51. It was a remote place in the Groom Lake in Nevada and is shrouded with secrecy, thus sparking people’s imagination, including paranormal activities. Some even believe that Area 51 is the place where the US government hid UFO and aliens. In July 2013, for the first time, the CIA had admitted the presence of Area 51. However, according to the documents, Area 51 was used to test spy planes, which includes the popular U-2 reconnaissance aircraft.